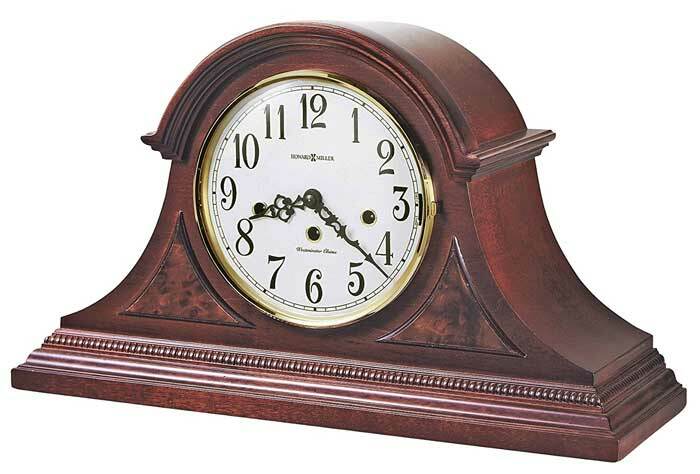 Windsor Cherry finished mantel clock in the traditional tambour styling features decorative top molding and triangular elm burl overlays. 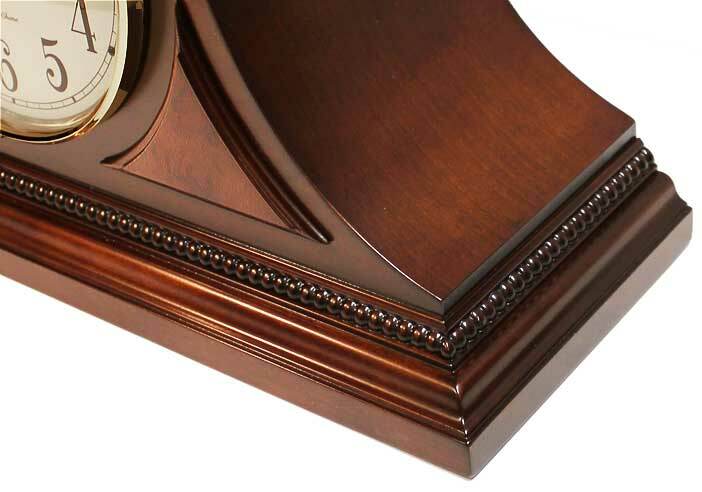 Beaded dentil molding wraps around the sides and front above the full plinth base. The off-white dial offers black Arabic numerals with serpentine hands. The convex glass crystal is framed by a hinged, solid brass bezel with beveled polished top surface and diamond turned sides. 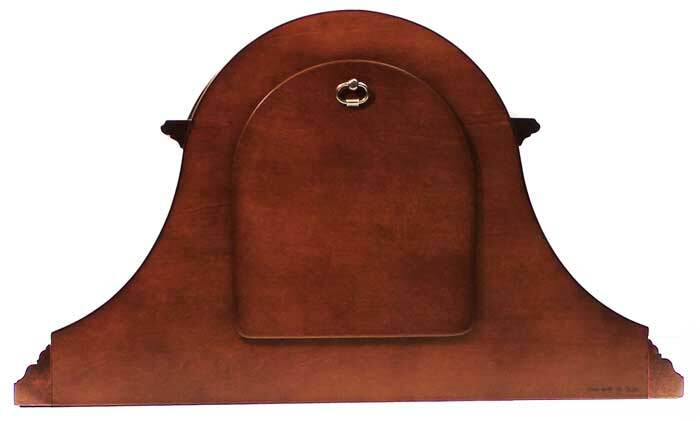 Finished in Windsor Cherry on select hardwoods and veneers with a real lacquer finish. German made Kieninger AEL01 Key-wound Quarter hour, Westminster chime movement with hour count. Requires winding only once per week. Chime on/off lever. This is a premium movement with 5 genuine jewels and 6 durable bronze bushings. 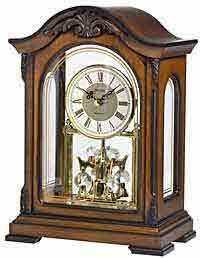 You can see and listen to the chimes produced by the movement in the clock in the video below. Size: Height 10-3/4" Width 18" Depth 6-1/2"
Clocks for sale at The Clock Depot including the 630-216 at discount prices.